It was a bit surprising that Just Cause 3 was released without multiplayer support, given the strong and very positive response to the unofficial (but sanctioned) multiplayer mod for Just Cause 2 that came out a few years ago. Avalanche co-founder Christofer Sundberg actually said in November 2014 that the studio might work it in at some point down the road, and made a point of stating that “we don't expect the fans to make the multiplayer for Just Cause 3.” Nonetheless, the fans are doing it. 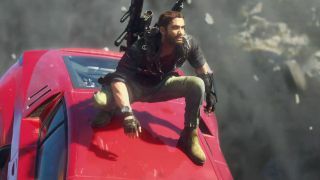 The Just Cause 3 multiplayer mod is actually being made by the same team that created the JC2-MP mod, and while there's little in the way of detail at this point, the developers promised “frequent updates on our progress” going forward. There's also no word as to whether Avalanche will embrace the mod with the same sort of enthusiasm it showed for the Just Cause 2 edition. Hopefully it will (and I think it'd be foolish not to) but that mod didn't come out until two years after the game's release, and took another year to make its way to Steam. Just Cause 3, on the other hand, has only been out for a month, and Avalanche may not want to give up control of this aspect of the game quite so quickly, especially if it's serious about doing the job itself. I've reached out to both Avalanche and the Just Cause Multiplayer Mod folks for more information, and I'll update if and when I hear back. (Given the timing, that may be awhile.) In the meantime, enjoy the trailer! Update: A JC-MP rep said the team has "spoken with a few of the Avalanche staff informally, and the general consensus is that they love what we're doing." That's not quite official approval, but it certainly sounds like a step in the right direction.